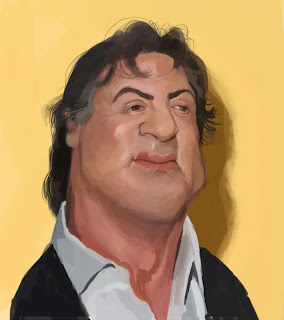 Here is my first ever take on Sly Stallone...not sure why I've never decided to draw him...wow. A little over an hour into it. Very very goooood work ! You've been busy Jim - nice work. Sly's not wearing too well is he ? Pavel and Tel..thanks for the compliments.